916carl and AugustaTaco like this. I almost broke into tears Thursday night. I received the email below at 1:18 pm Thursday afternoon but it went into in my Spam box. I didn't see it until about 9:45 Thursday night. The bad part was I had took off work and was in town running errands all afternoon. I was within 1/2 mile of both stores between 1:30 and 2:00 pm. Have you had the 4 year? Worth the $10 premium in my estimation, but that 3 year is still awesome. Love the non-featured whiskies in that pic. I see the Monkey Shoulder peeking out. Which Compass Box is that? I think I see a High West behind the Willett. Midwinter Night's Dram? Thanks! I'm buying it faster than I'm drinking it, but I haven't run out of space yet. I haven't run into the 4 year but always keep an eye out. I mostly go to Total Wine; best prices anywhere and they have a huge -Yuge! - selection, but it's mostly standard stuff. There is a bottle store about 20 miles away that has bourbon in its name that I've been meaning to hit up. I'd guess they'd have more unique stuff, also more $$$. The Compas Box is Spice Tree (newer version, unfortunately not the original version) and the High West bottle (damn good eye there!) is the Midwinter Nights Dram, act 6 scene 3. Those 2 bottles I've been waiting to open until my BIL comes up. He's just getting into drinking nicer stuff and I thought it would be fun for us to try them. All my local friends are beer/wine drinkers, not much into whiskey. Guess I need to find new friends! The bourbon liquor store I mentioned has stock listed on their webpage. I remember someone saying the Caribou Crossing was Canadas version if Blanton's! I can't remember if they reported back how it tasted. @bvbull200 - they have 1 Booker's 30th left! dumontrider, bvbull200 and Misplaced Nebraskan like this. The four year is all over the metromess again if anyone is ISO. My weekend picks. Haven’t seen Four Roses single barrel in a while down here. SCORPION 1A, 916carl, bvbull200 and 3 others like this. drjenkins, SCORPION 1A, JeffRoyJenkins and 5 others like this. LOL, that's exactly what I did here in San Antonio this morning. dumontrider, trekker, zeefarmer and 2 others like this. I have a buddy who just got a bottle of Caribou Crossing. He's waiting until we meet up to open it. I'm not terribly interested in a bottle myself, but I'm a bit curious to try it. 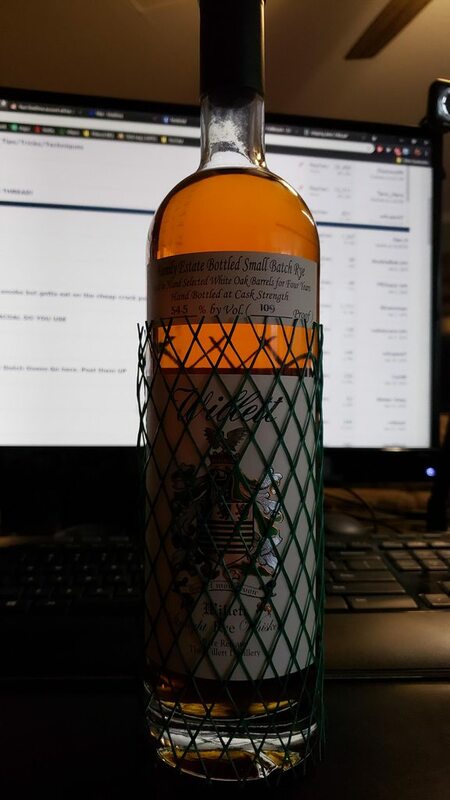 The bottle is really cool looking, for whatever that is worth . It is! I grabbed a bottle myself . I love, love, love that 1920. Hope you do, too. If not, just ship it up here . Great pickups! I'll get to your PM soon . I tried these last night from my Kentucky haul. 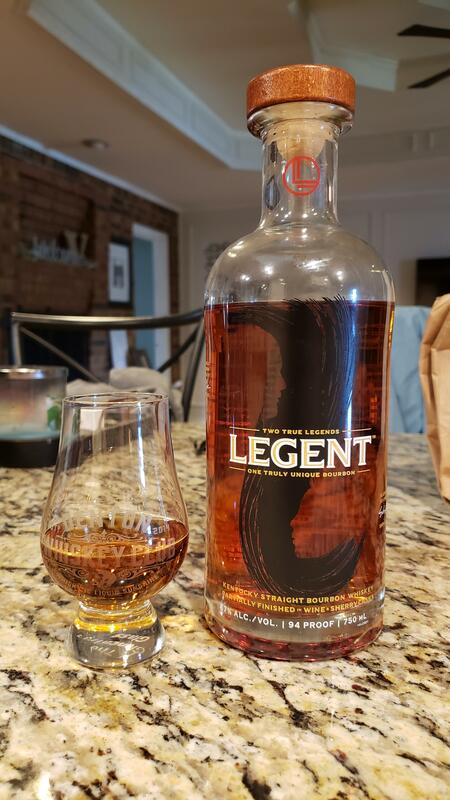 The Legent is very unique. If you didn't know its roots, I think you'd guess it is a Japanese whisky. I guess it kind of is, but it was a bourbon before Shinji got his hands on it. Dark cherries on the nose, wine and sherry bomb up front on the palate, followed by some of those cherries and butterscotch, then an exquisitely clean finish. I think some people will HATE this whiskey due to the heavy wine/sherry influence, but some are going to LOVE it. If you've had Yippe Ki-Yay from High West, you know what I'm talking about with the heavy wine hit up front. Personally? I really like this stuff. Wish I bought 2 or 5 bottles. 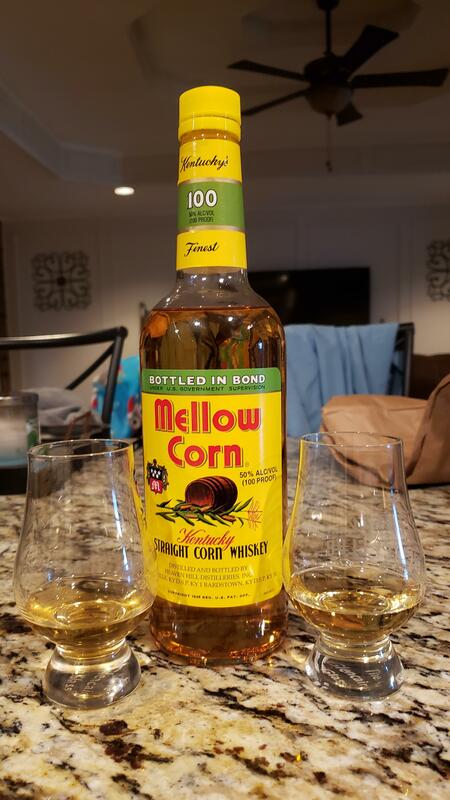 The Mellow Corn is pretty light, very sweet, and a good, fun sipper, but super cheap, so I wouldn't shed a tear seeing it disappear in a big cup of ice and coke. @Misplaced Nebraskan , I honestly think that you need to try this stuff up against your staple Old No. 7 from Jack Daniels. Might find yourself a new go-to. It's good. drjenkins and Misplaced Nebraskan like this. I almost grabbed the Legent today. I've been looking for the 1920 for awhile now. But now I have a source. Was eyeing some Larceny too. I'll look for the mellow corn! Worth a shot. cafereef and bvbull200 like this. @trekker , I'll finish this pour and gather some thoughts to put up later, but it's a very good first impression! dumontrider, AugustaTaco, nDub and 2 others like this. Which one is that? The 30? This is a seriously good batch. Goes on my recommend list, for sure. Tastes like a gourmet cinnamon roll. The nose smells like the frosting and the palate is like the sweet and cinnamon dough. Very yummy. Remarkably tame after a fresh uncorking, too. Pretty surprised by this one - in a good way. Check post #4168 for the Booker's 30th . This is 2019-01 (Teresa's Batch). First release of this year that hasn't made it to Texas yet (I don't think), but I grabbed a bottle while touring the Jim Beam American Stillhouse. You ought to be able to find this in about a month and should pick it up. cafereef, trekker, 916carl and 1 other person like this. trekker and bvbull200 like this. Excellent! I can't wait to give it a try. Enjoy! Really liking Jameson Stout cask right now. My haul from yesterday! Booker's 2019-01 and the last 2 bottles of Buffalo Trace in the county!! drjenkins, dumontrider, AugustaTaco and 4 others like this.